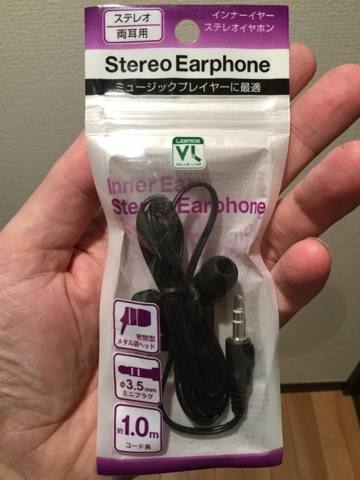 I bought a set of ¥100 earphones (US $1). My reasoning is that it would be a good idea to start again at the bottom and get a standard to work from. I am quite familiar with the middle and top range and want to set a clear continuum with which to scale clear and precise, albeit subjective impressions whilst reviewing products.